Schubert writes Winterreise (Winter trip) It is very advanced and syphilis that led to his death shortly afterwards. Lonely and without having had any success in his career, Schubert desgrana a lo largo de 24 songs two fundamental themes in the poems of Wilhem Muller, loneliness and the road. And it does transmitting, wrenching way, his own inner winter, full of melancholy, loneliness and fear of death that lurked him. Winterreise was originally written for tenor voice, well known Schubert. But the baritone voice which most often addresses this repertoire, perhaps because melancholy describe more accurately. But this time, he Lied cycle of Teatro de la Zarzuela and the National Music Center They have surprised us with the voice Adrianne Pieczonka. 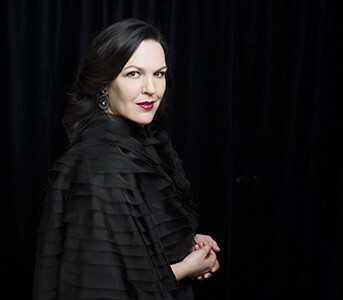 A discovery hearing the deepest romantic expression hand this Canadian soprano, and experienced on stage. Tal vez gracias a esa experiencia vital y profesional se deba la capacidad de transmitir tantas emociones distintas contenidas en esta obra. Pieczonka has been bringing, of disturbing way, each time that describes Schubert, through his music, the arrival of the end of the road. Bright, glazed voice when the upward dynamics require, como en Frühlingstraum (spring dream), or able to create atmospheres full of melancholy or tenderness, como en Der Lindenbaum (linden) o The organ-grinder (The hurdy-gurdy). She was accompanied on the piano by Wolfram Rieger, who scored, with impeccable technique and elegance, Pieczonka the perfect way to travel the romantic melancholy described by Schubert. His knowledge of lieder repertory is impeccable, as his mastery of the instrument. They formed a perfect tandem in coordination and expressiveness that left the audience happy and satisfied.